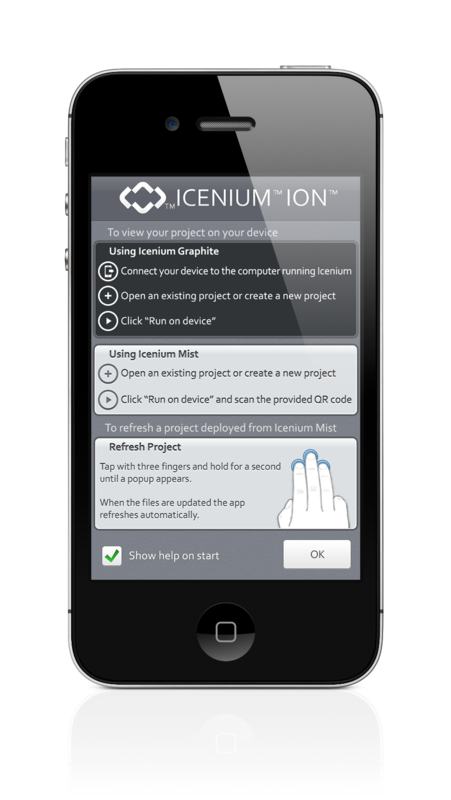 Over the past week, since we released the first beta of Icenium, I’ve been talking with lots of web and mobile web developers who are either starting to develop apps for mobile devices, or who are going to be starting soon. These folks, who are new to building apps that run on devices, have lots of questions about the options available to them, and lots of confusion over native-vs-mobile web-vs-hybrid. 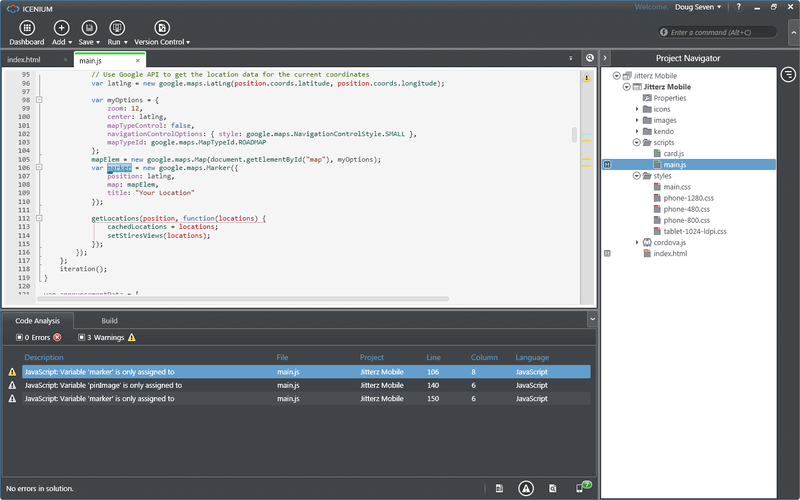 Native apps are built for a specific platform with the platform SDK, tools and languages, typically provided by the platform vendor (e.g. 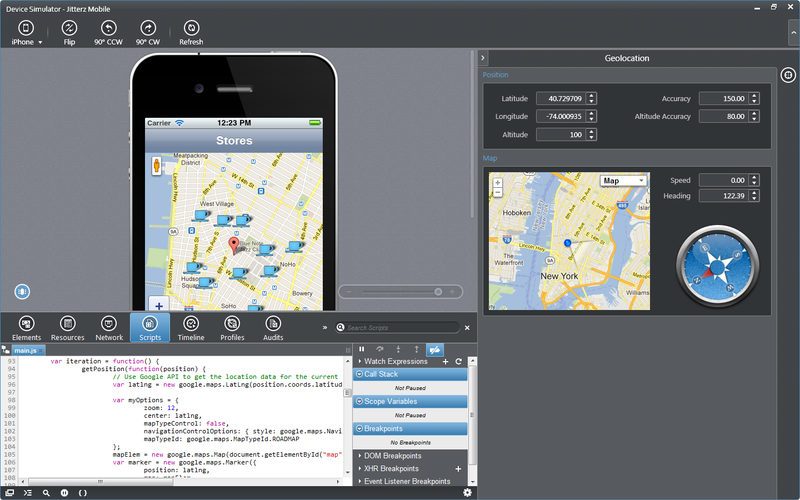 xCode/Objective-C for iOS, Eclipse/Java for Android, Visual Studio/C# for Widnows Phone). 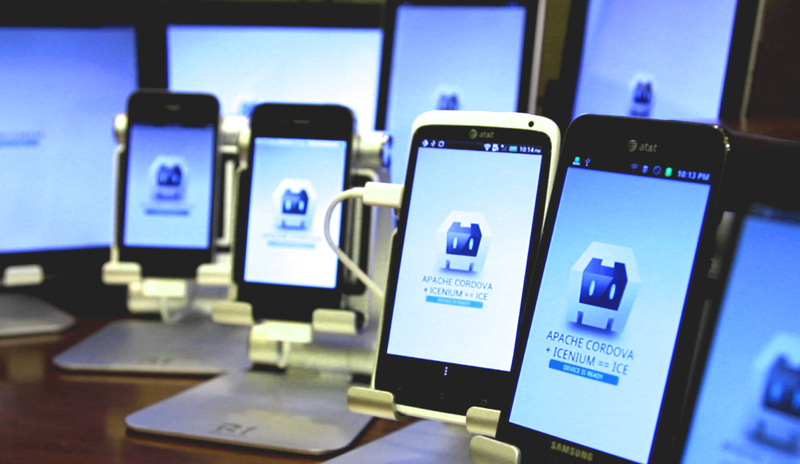 Mobile Web apps are server-side apps, built with any server-side technology (PHP, Node.js, ASP.NET) that render HTML that has been styled so that it renders well on a device form factor. Like any other technology choice, deciding between native and hybrid requires you to look at the user experience and decide on the level of investment you need to make to achieve the goal. Native apps will always require more investment because they are written with more complex languages, designs and structures. They also need to be written/rewritten for each mobile platform you are targeting. Hybrid apps will always enable you to build for more platforms faster, if you are willing to sacrifice small amounts of performance (e.g. game-level responsiveness). Hybrid, by definition is anything derived from heterogeneous sources, or composed of elements of different or incongruous kinds. 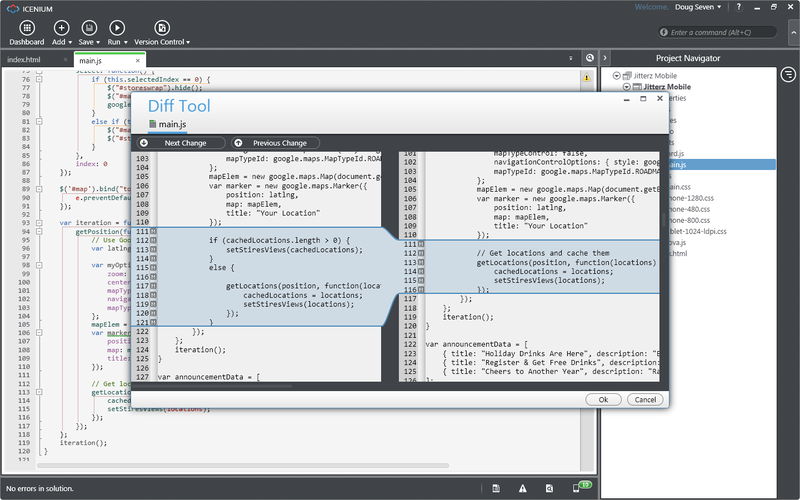 A hybrid app is one that is written with the same technology used for websites and mobile web implementations, and that is hosted or runs inside a native container on a mobile device. 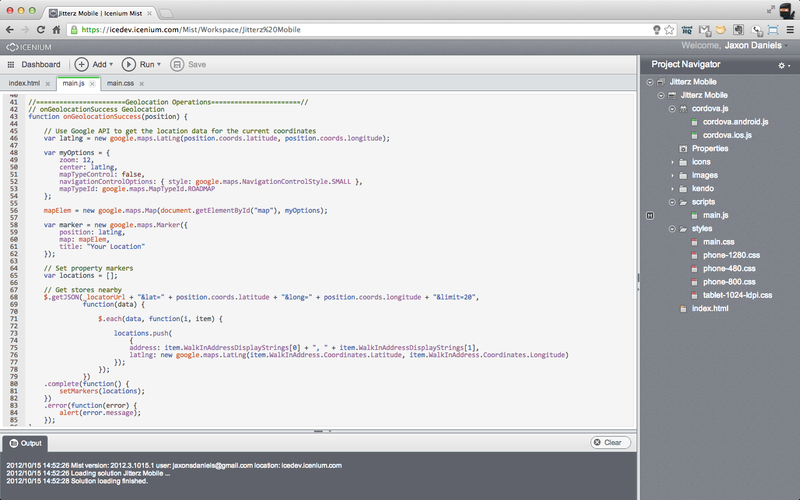 It is the marriage of web technology and native execution. Don’t need the advanced graphics performance that you can only get from a native app. Hybrid apps are built with web technologies which means there are millions of web developers who already have the base skill set to build mobile apps. 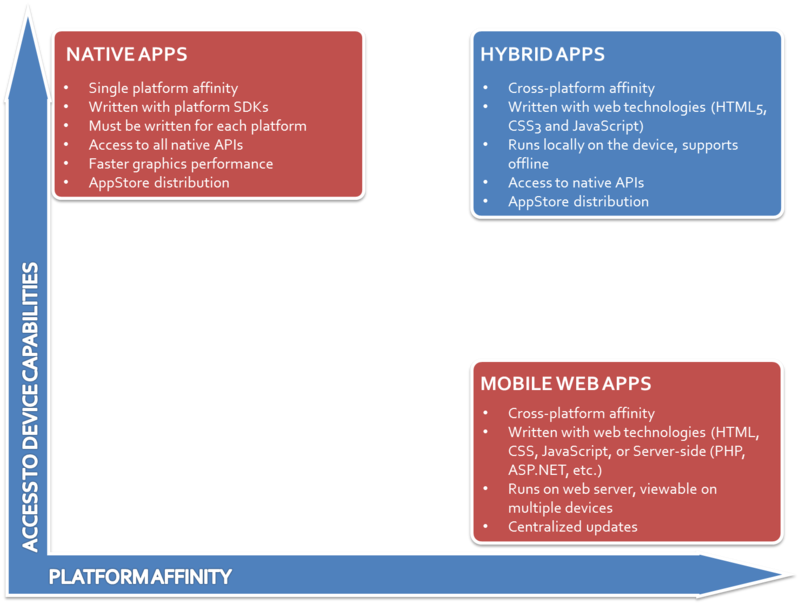 Here is a graph that highlights the differences in native, hybrid and mobile web applications.